I have to admit, I didn’t embrace Twitter right away- it took me some time to really “get it”- to find a client I really liked (TweetDeck); to discover what type of people I wanted to follow; and finally, to realize that I didn’t have to tweet every minute about every mundane detail in my day to fully appreciate Twitter. traffic ? will find tweets containing “traffic” and asking a question. “happy hour” near:”san francisco” will find tweets containing the exact phrase “happy hour” and sent near “san francisco”. 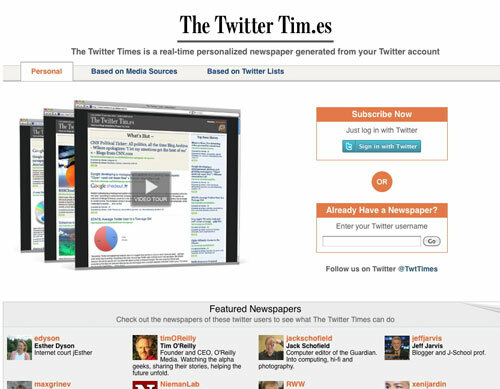 If, like me, you’re a frustrated publisher, you’ll love what The Twitter Tim.es does: it generates a “real-time personalized newspaper” from your tweets. For example, see Tim O’Reilly’s Twitter Tim.es Newspaper. 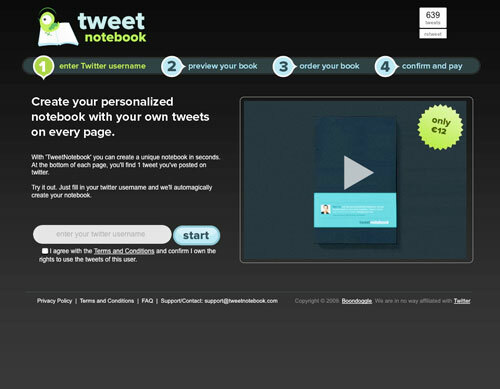 In the same vein, TweetNotebook publishes your tweets in a whole new way- but takes it a step further, generating a real paper notebook that features one of your tweets on each of its pages. Simply submit your Twitter username, select a cover design, and it’s ready to go (cost is 12 euros). I adore this. Like to rate stuff? How about your friends’ tweets? 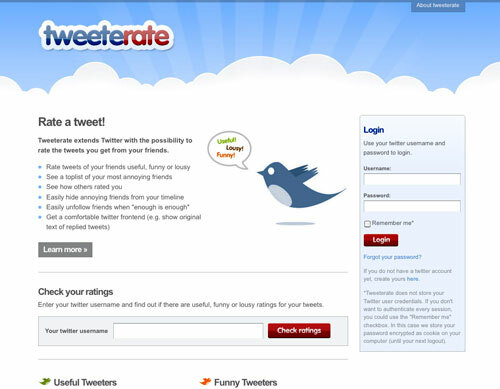 Tweeterate lets you rate other people’s tweets as “useful, funny or lousy”- then see a list of your most “annoying” friends based on your ratings, and then choose to hide them if you like. It’s a bit of silliness, really, but I have to admit I clicked through to some of the top-rated tweeters listed here and found a few of them useful. This one’s even more pointless (it is, after all, brought to you by Pointless Corp.), but can be fun and is certainly one of the more creative Twitter-related apps I’ve seen. 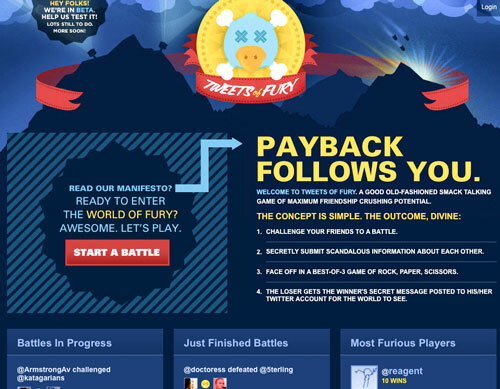 You can challenge your friends to a battle, submit “scandalous information about each other”, then play rock, paper, scissors (yay! ), and- if you lose the latter- deal with having the scandalous info about you publicly posted on Twitter. 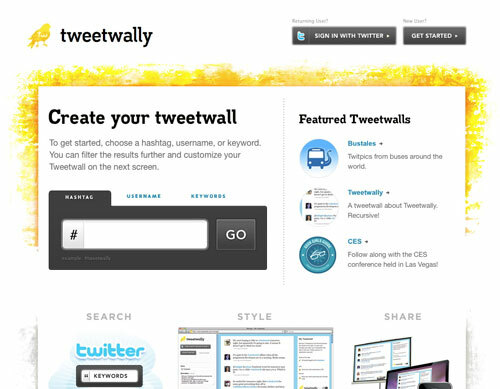 What Twitter web apps do you use?